I thought I’d make a post on this as I didn’t know about it until recently, and that is that makeup does in fact expire! There’s a quick an easy way to tell when your makeup expires and it’s by looking at the back of your product – it should have a small jar with 6M, 12M, 24M, etc on the back of it – this means the product expires from 6 months, 12 months, 24 months, etc after you open it. This foundation needs to be used thrown out after 12 months. 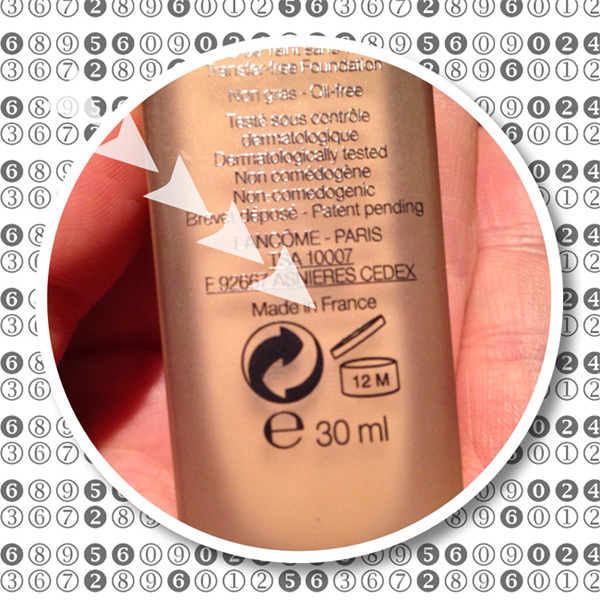 I did some research on the typical expiry dates on makeup in case your product doesn’t have this symbol as it was on the packaging that you threw out. Mascara, liquid, pencil or gel eyeliners: 4-6 months. Cream, Liquid or Stick Foundations or Concealers: 1-2 years (dependent on whether there’s a pump). * These facts vary through different sites, so I advise you to use the indicator on the back of your makeup/skincare product for the most accurate information on the expiry date. * I do not own these pictures. Tell that to the lip balm I’ve had for eight years! The only things I don’t screw around with on the best by dates, though, are eye products. Never lasts long enough to go bad, though. HAHAHA! I feel you, I don’t really pay attention to the expiration dates unless it causes a reaction on my skin/smells funny. I just take more precaution now if I feel it may be out of date haha ;). I’m glad it helped you! We don’t want to be breaking out ><. Reblogged this on Kristina Gard. Feel like our beloved cosmetics expiring is something we try to pretend doesn’t happen, I know that’s how I am. My rule of thumb is if it starts to change in any way/shape/form, it’s done for! But I do have an all natural face mask that does say on it that due to the natural ingredients in the product that discoloration may occur. So I definitely take things like that into consideration when de-cluttering. Yeah I totally feel you on that – I don’t really pay attention to the expiration date but use it as a guideline and do the same as you; if it smells funny or causes a reaction it goes in the bin. It’s so important! When I worked for Estee Lauder, we tried to mark customers’ boxes with the date purchased so they know when to replace it. Mascara is the most important: you don’t want pink eye! Eeek. We told people replace it every 3 months, a little shorter than your recommendation. It did. Is the expiration time the same if the product is unopened and or sealed? Thanks, I have several products that I’ve had for ages. LOL! Thanks for this ❤ Really a huge help! I really didn’t know that but I haven’t had makeup last longer than 4 months anyway hahahahhaha… Skin care runs out in 2 months but that’s only toners for me…. Although I don’t know how powders (like blush) can really go bad. It’s SO important to understand that makeup DOES expire, and when it does, you DO NOT want to put it on your face. Not only does it not do it’s job, but it can also increase break outs or even allergic reactions. It happened to me personally. So check this post out so you know how long you can keep your makeup and skincare for!! Thanks! Hopefully you will like my blog and follow as well! I started writing “date opened” dates on my mascara bottle with a sharpie….I have too much mental gray hair to be trusted to remember!! !